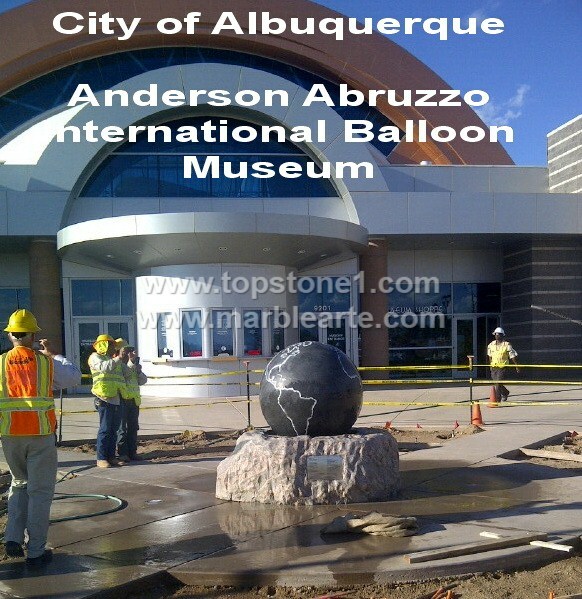 Description: City of Albuquerque Balloon Museum - Outside the City of Albuquerque’s Balloon Museum stands a fountain in all its pristine glory. It’s not your traditional water fountains, but an outdoor garden fountains. And like garden fountains that best feature the kugel ball, there stands a proud kugelbrunnen in the midst of construction workers and business people. These garden sculptures are a perfect accessory to any outdoor setting. Though they work best as garden ornaments, as the traditional piece, called garden balls, they also tend to blend its marble ball perfection into a stone décor worthy of any terrestrial domain.